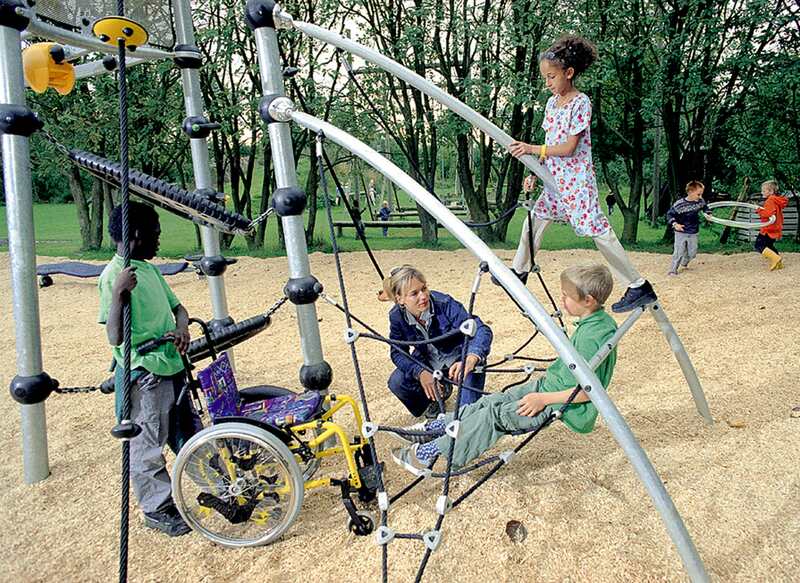 Planning a Special Needs Playground? 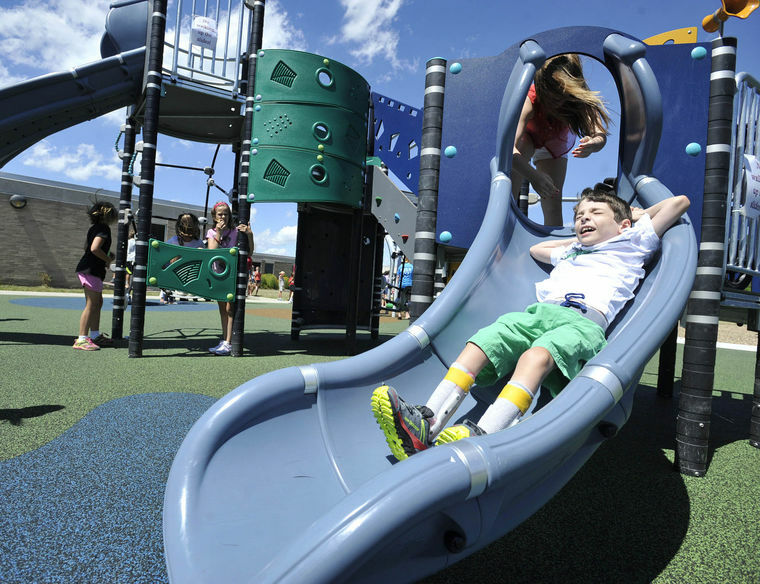 Get the 411 on all things related to designing the ultimate special needs playground. The informative brochure includes tons of tips and strategies for maximizing space and improving the play value for children with all types of special needs. 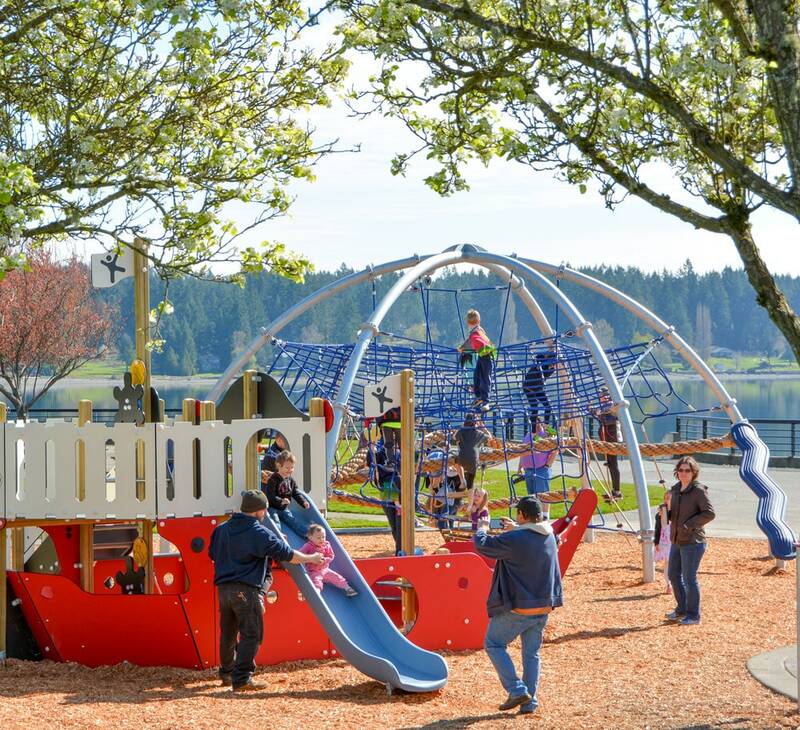 The comprehensive white paper provides all the documentation and research necessary to understand the principles driving the playground equipment designs. 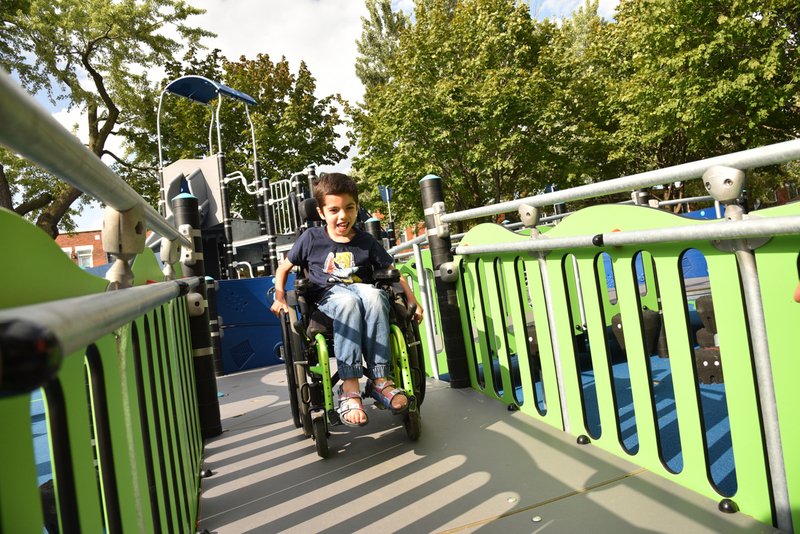 Designing a playground to meet the needs of differently-abled children is at first overwhelming. 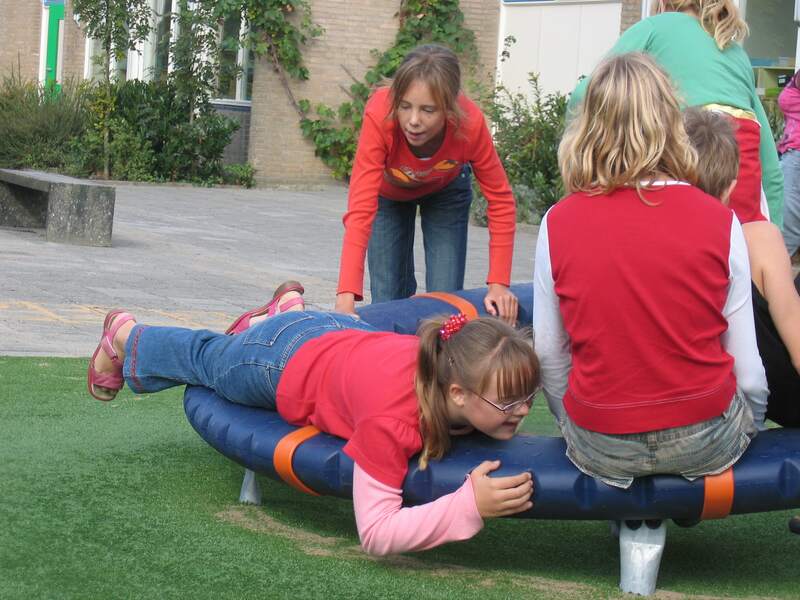 Fortunately, if you have KOMPAN playground equipment, you most likely already have special needs playground equipment. 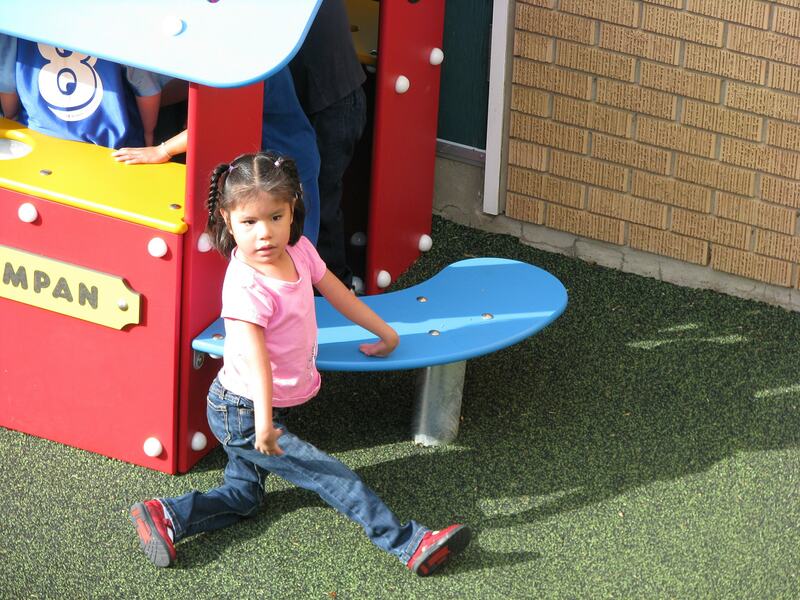 The KOMPAN Play Institute ensures their designs accommodate the needs of all ages and abilities. 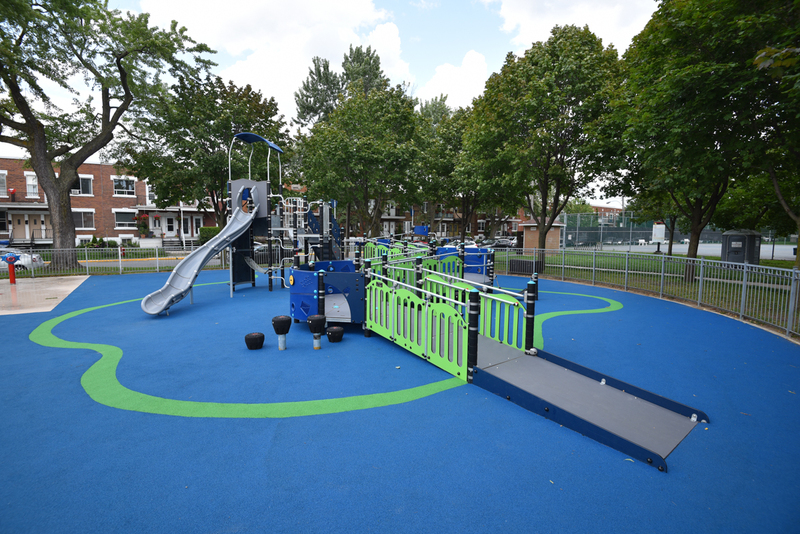 Each piece of equipment is designed to offer multiple play modes. 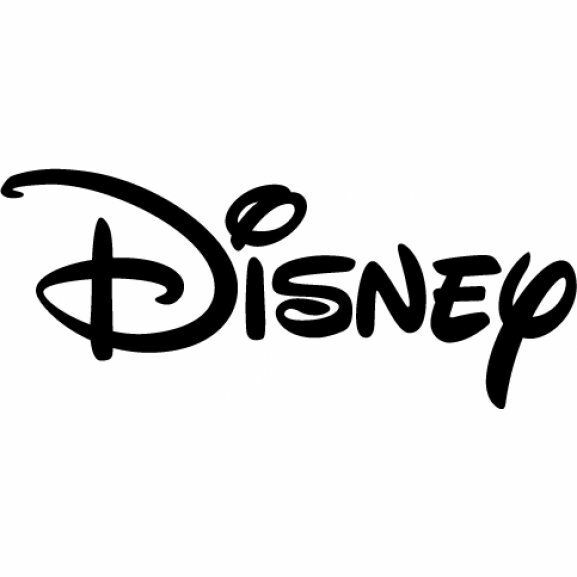 This means play interactions for children of every age and ability. Playgrounds with this design are called Universal. “Universal design” is the design of products, environments, programs and services that are usable by all people, to the greatest extent possible, without the need for adaptation or specialized design. Inclusive design, or Universal design does not exclude assistive devices for particular groups of persons with disabilities where this is needed. 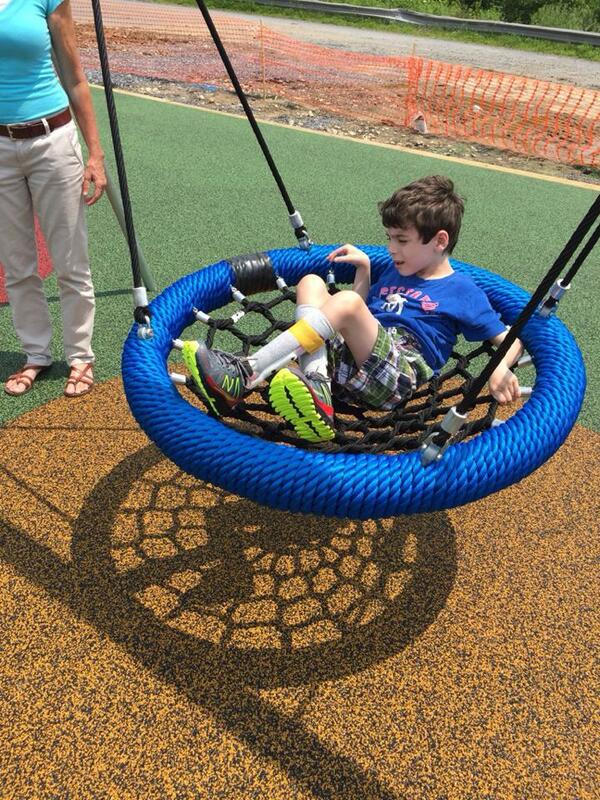 KOMPAN has a long tradition of designing play equipment with universal design principles. These playground pieces invite a wide variety of users. Designers at The KOMPAN Play Institute know that playgrounds are for all users, include all, and segregate no-one. Avoiding very specialized designs makes sense in the public playground, economically as well as functionally. As disabled children may feel stigmatized by using the very specialized designs that don’t make others feel inclined or invited to use them. 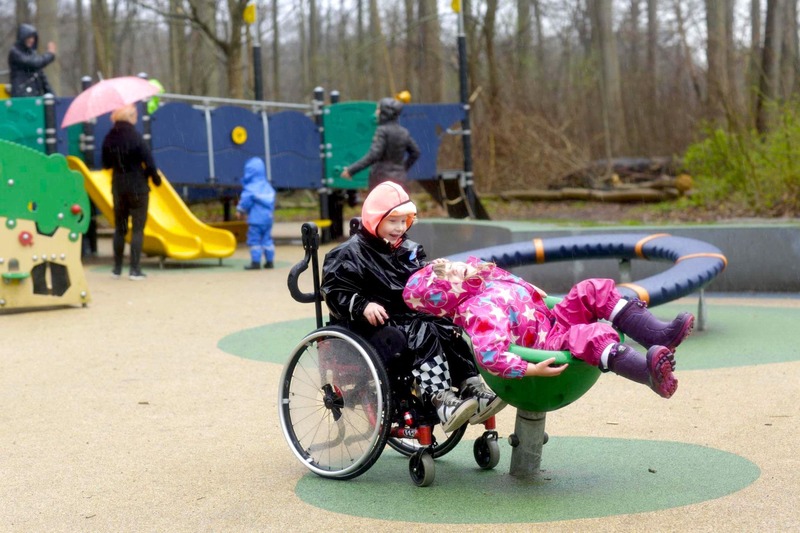 The United Nations’ Convention on the Rights of Persons with Disabilities recommends a universal design approach when planning special needs playground equipment. The convention was signed by the majority of countries over the last two years. Additionally, new research states that cooperative play between children with disabilities and typically developing children is beneficial to both. 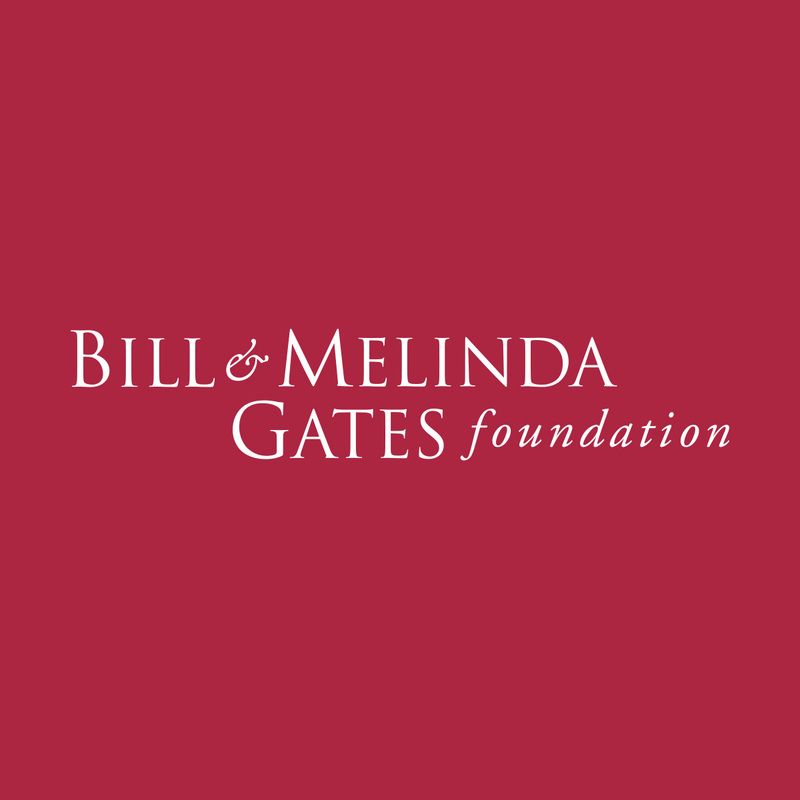 Children with disabilities playing with, and alongside, typically developing children improves self-efficiency, tolerance and empathy among both groups. Therefore, the aim is to make playgrounds more inclusive, by drawing upon universal play formulas. Simply stated, designs that unite children in play. 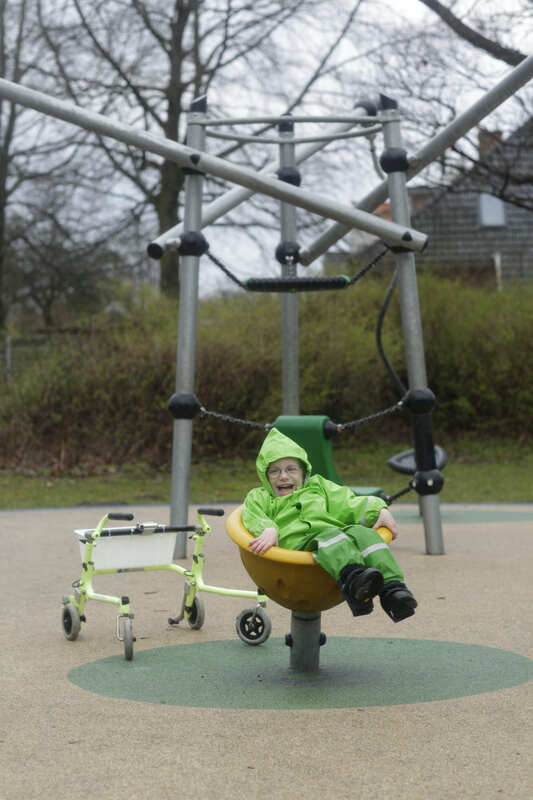 Fortunately, good inclusive playgrounds aren’t necessarily more complicated, time, or space consuming than other playgrounds. They function as therapy for a wide range of children with physical disabilities. 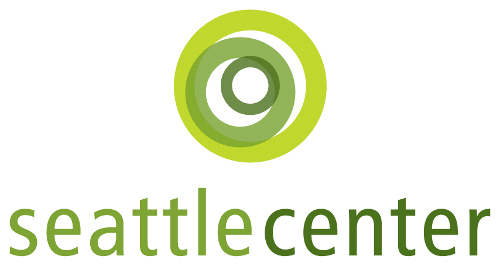 Additionally, they are still highly challenging to all other users as well. This is because they are designed on universal design principles: usable for all to the widest extent possible. Activities accessed from ground level: rocking equipment, seesaws, rotating equipment and carrousels, a bench, a hammock, a play counter, a role play scenario or a manipulative item. Additionally, activities and designs that encourage playful interaction between the inside and outside of a play item further the products usability. Activities entered from an elevated platform: a slide, a fireman pole, a banister bar, manipulative items on an upper level, a bridge, or overhead link. Access to the elevated platform can be created by a transfer platform, an accessible stairway or, when relevant, by a ramp. Activities accessed and used from ground level and an elevated level: net links, curly climbers and access climbers. 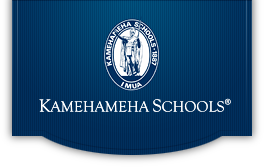 Provided the surfacing is accessible, these KOMPAN activities are accessible as well as usable. 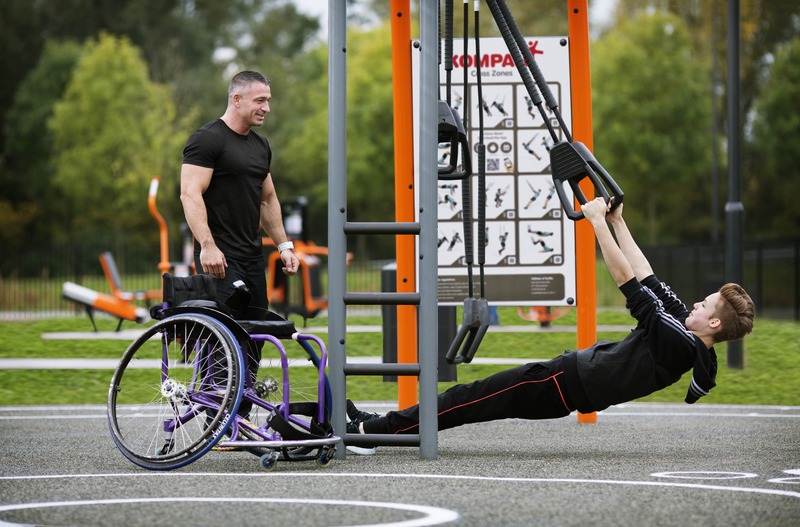 Many activities can be used from both levels and by all levels of abilities.